This collection started as a complete accident...in my barn...under layers of dust. 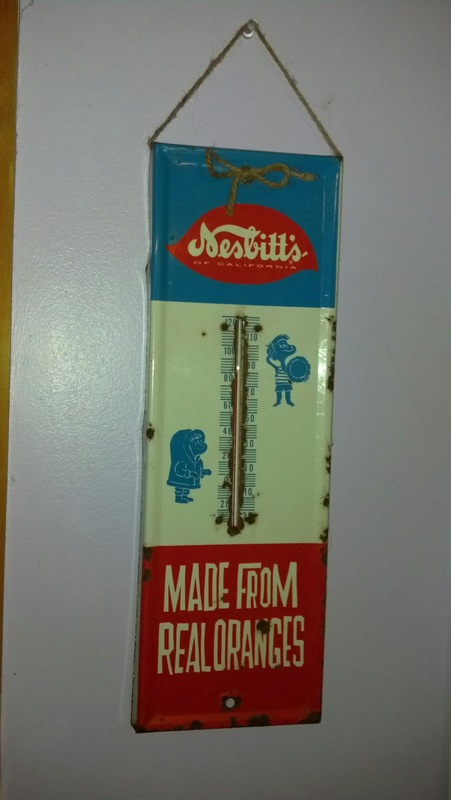 I found this Nesbitt's thermometer some time ago hanging in the far reaches and couldn't quite believe it. How had I not noticed this thing before? After taking it over to the house, I cleaned it up a bit and was surprised how bright the colors were. Aside from some rust spots, it was in decent shape...considering where I found it that is. I added some twine and has been hanging on my wall ever since. 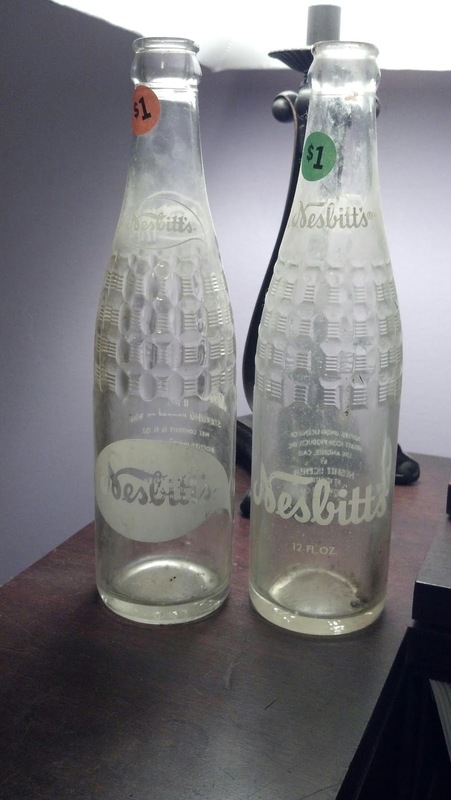 Knowing this, you can understand how I was compelled to pick up these two glass soda bottles at a yard sale (for a dollar each) this past summer. From my research, founded in 1924, the Nesbitt's Fruit Products Company remained in operation until the 1970's when it was sold off. During the 1940's and 1950's, Nesbitt's was the leading maker of orange pop until surpassed by Fanta in the 1960's. The bottles can be dated to the later part of the company's life. As for the thermometer, I am uncertain. Well that's all for now folks! Tell me, have you ever "found" goodies amongst your own belongings? Also, I have been doing some thrifting lately... however my time is in short supply now that classes started back up at college. Hopefully I'll get it all blogged and ready to share soon, I'm definitely excited about some of it. What a neat find! And right under your nose! The Collection Gap - Filled!